The quirky collection of illustrations by visual arts graduated Sabine Ten Lohuis is phenomenal and stunningly drawn, her pencil drawings are somewhat cultural, fashion and nature. 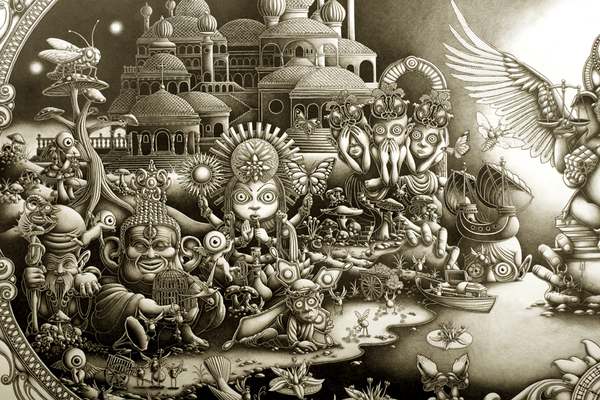 The illustrations are engaging the viewer in an attempt to piece together a narrative. Currently, Sabine is working as a freelance illustrator based in Rotterdam, Netherland. Her works often influenced by mix of traditional and a big range from modern to historical architecture from Holland city. I believe she’s amazing, and you will be amazed to no end! Anyone with a sense of humour and brainy will think and laugh with these Nathan W. Pyle illustrations. But what’s even more impressive about Nathan’s digital drawing is his distinctive style. 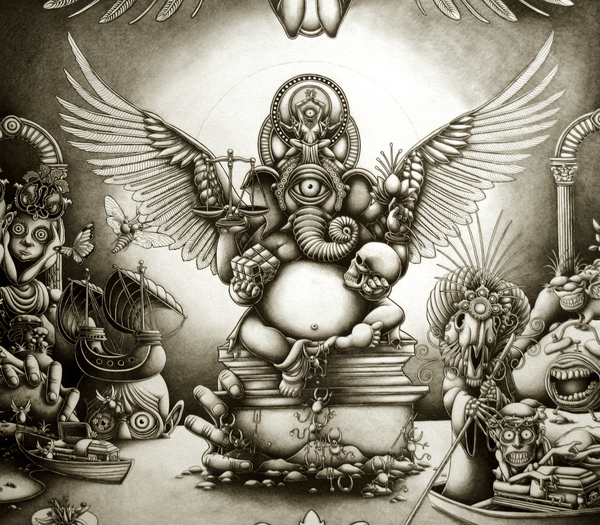 Nathan works as an illustrator and tshirt designer. He often over-think things of subjects and work on a silly idea and end with me working up in Adobe Illustrator for a more LOL effect to design the tshirts. Visitors are almost tempted to buy his cool designed tshirts because his process is so witty, But he makes a lot of shirts based on instructional diagrams. View his portfolio and interview to know about him more. 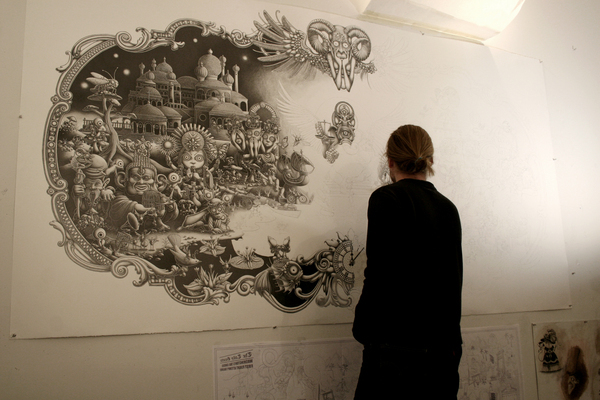 At first glance, itself it looks like just another epic drawing. 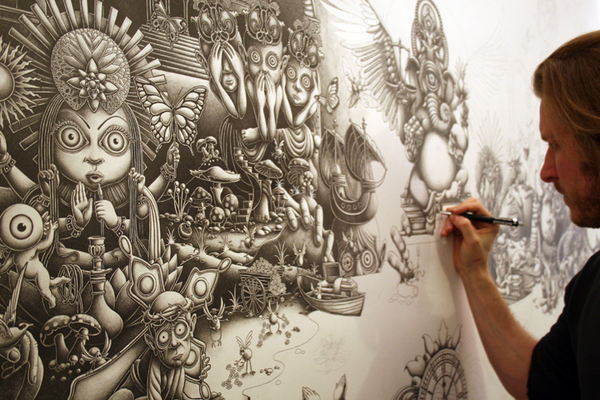 It’s an amazing five metre fine artwork of Joe Fenton who lives in Brooklyn, New York, Joe spent ten hours a day, to create his masterpiece incredibly detailed illustration. 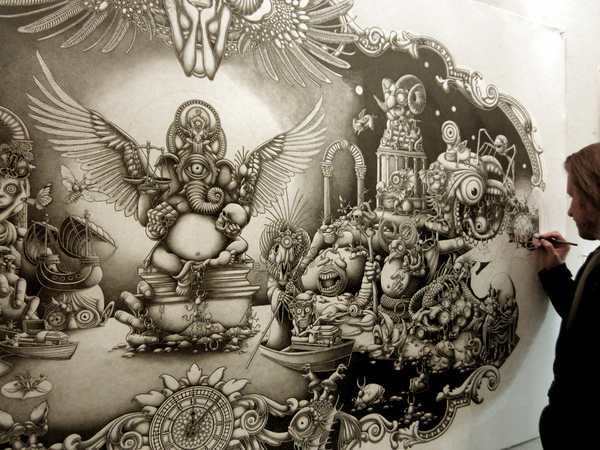 Artist Joe Fenton is an extremely talented guy, Using a 0.5 mechanical pen as his main tool on a five metre tall and 2.5 metre wide piece of paper, he created his hyper-detailed artwork, Inspired by darker and more surreal books from his childhood, the characters and figures of his imagination are influenced by religious references. 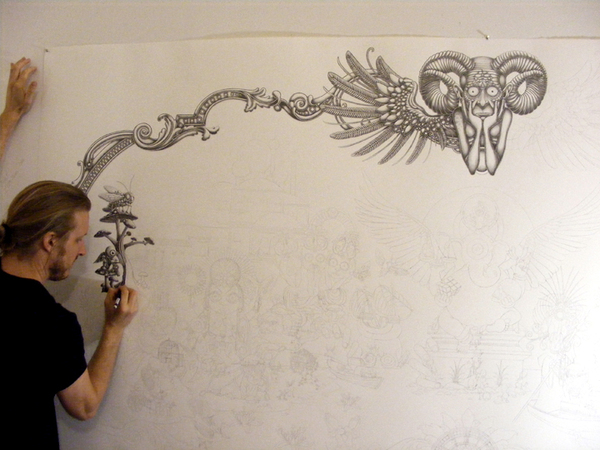 If you want to see the whole process of Joe’s artwork visit his behance.com/joefenton portfolio.